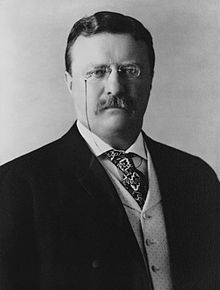 Following is a list of all Article III United States federal judges appointed by President Theodore Roosevelt during his presidency. In total Roosevelt appointed 80 Article III federal judges, a record for his day surpassing the 46 appointed by Ulysses S. Grant. These included 3 Justices to the Supreme Court of the United States, 19 judges to the United States Courts of Appeals, and 58 judges to the United States district courts. Five of Roosevelt's appointees - George Bethune Adams, Thomas H. Anderson, and Robert W. Archbald, Andrew McConnell January Cochran, and Benjamin Franklin Keller, were originally placed on their respective courts as recess appointments by President William McKinley. Following the assassination which resulted in McKinley's death on September 14, 1901, Roosevelt chose to formally nominate those judges for confirmation by the United States Senate, and all were confirmed. Additionally, 9 Article I appointments are listed, including 5 judges to the United States Court of Claims and 4 members to the Board of General Appraisers (later the United States Customs Court). From the establishment of the United States courts of appeals on June 16, 1891, until the abolition of the United States circuit courts on December 31, 1911, all United States Circuit Judges where jointly appointed to both the United States court of appeal and the United States circuit court for their respective circuit. Starting January 1, 1912, United States Circuit Judges served only on the United States court of appeal for their respective circuit. Oliver Wendell Holmes, Jr. as he appeared when Roosevelt appointed him to the United States Supreme Court. William R. Day, another of Roosevelt's Supreme Court appointees. Willis Van Devanter, appointed by Roosevelt to the Eighth Circuit, would later serve on the Supreme Court. The United States circuit courts were abolished on January 1, 1912, the final day of service being December 31, 1911. The United States circuit court in the District of Columbia was abolished in 1863. Therefore, those individuals who served in the D.C. Circuit served only on the Court of Appeals and had no Circuit Court service. 6 Thomas G. Jones M.D. Ala.
56 Edward Terry Sanford E.D. Tenn.
^ Laterally appointed Chief Justice, previously served as Associate Justice of the same court. ^ a b Recess appointment; formally nominated on December 5, 1905, confirmed by the United States Senate on December 12, 1905, and received commission on December 12, 1905. ^ Recess appointment; formally nominated on December 5, 1905, confirmed by the United States Senate on December 6, 1905, and received commission on December 6, 1905. ^ a b c d Recess appointment; formally nominated on December 3, 1906, confirmed by the United States Senate on December 11, 1906, and received commission on December 11, 1906. ^ a b c Recess appointment; formally nominated on December 3, 1907, confirmed by the United States Senate on December 17, 1907, and received commission on December 17, 1907. ^ Recess appointment; formally nominated on December 3, 1907, confirmed by the United States Senate on December 10, 1907, and received commission on December 18, 1907. ^ Recess appointment; formally nominated on December 3, 1907, confirmed by the United States Senate on December 12, 1907, and received commission on December 12, 1907. ^ a b c d Recess appointment by William McKinley; formally nominated by Theodore Roosevelt on December 5, 1901, confirmed by the United States Senate on December 17, 1901, and received commission on December 17, 1901. ^ Recess appointment by William McKinley; formally nominated by Theodore Roosevelt on December 5, 1901, confirmed by the United States Senate on February 4, 1902, and received commission on February 6, 1902. ^ Recess appointment; formally nominated on December 5, 1901, confirmed by the United States Senate on December 17, 1901, and received commission on December 17, 1901. ^ Recess appointment; formally nominated on December 5, 1901, confirmed by the United States Senate on December 18, 1901, and received commission on December 18, 1901. ^ Recess appointment; formally nominated on December 2, 1902, confirmed by the United States Senate on December 8, 1902, and received commission on December 8, 1902. ^ Recess appointment; formally nominated on November 10, 1903, confirmed by the United States Senate on November 16, 1903, and received commission on November 16, 1903. ^ Laterally appointed as Chief Justice, previously served as Associate Justice of the same court. ^ a b Recess appointment; formally nominated on December 6, 1904, confirmed by the United States Senate on December 13, 1904, and received commission on December 13, 1904. ^ Recess appointment; formally nominated on December 5, 1905, confirmed by the United States Senate on January 10, 1906, and received commission on January 10, 1906. ^ a b Recess appointment; formally nominated on December 3, 1907, but no United States Senate vote. ^ Recess appointment; formally nominated on December 8, 1908, confirmed by the United States Senate on March 1, 1909, and received commission on March 1, 1909. ^ a b Recess appointment; formally nominated on December 8, 1908, but no United States Senate vote. ^ Recess appointment; formally nominated on December 3, 1907, confirmed by the United States Senate on May 20, 1908, and received commission on May 20, 1908. ^ a b Recess appointment; formally nominated on December 3, 1907, confirmed by the United States Senate on January 13, 1908, and received commission on January 13, 1908. ^ Laterally appointed Chief Justice of the same court on April 23, 1928. ^ Recess appointment; formally nominated on December 5, 1905, confirmed by the United States Senate on January 16, 1906, and received commission on January 16, 1906. ^ Laterally appointed Chief Justice, previously served as Judge of the same court. ^ a b Reassigned by operation of law to the United States Customs Court on May 28, 1926. ^ Recess appointment; formally nominated on November 10, 1903, confirmed by the United States Senate on December 7, 1903, and received commission on December 8, 1903. ^ Recess appointment; formally nominated on November 10, 1903, confirmed by the United States Senate on November 24, 1903, and received commission on November 25, 1903. ^ Recess appointment; formally nominated on December 8, 1908, confirmed by the United States Senate on January 11, 1909, and received commission on January 15, 1909. ^ Removed from office by William Howard Taft on March 3, 1913. This page was last edited on 15 April 2019, at 17:39 (UTC).